There aren’t many places that can be said to exist under a ‘big sky’ in quite the way Arizona does. Though the south-western state sits just to the east of Los Angeles and San Diego, it feels a world apart from those sprawling, bustling cities. This is a country of wide open spaces, of road trips through a desert studded with singular sights found nowhere else on earth and of natural wonders just waiting to be experienced. Flagstaff is a great spot to start any journey around Arizona. Its position at the junction of the I-40 and I-17 highways, as well as being in the Coconino National Forest, means you’re only a short drive away from much of the action. The vast forest is one of the most diverse in the whole US and well worth exploring. Spread out across more than a million acres, its hugely varied landscapes range from Ponderosa Pine forests to the famous Red Rocks of Sedona and even alpine tundra. It makes Flagstaff an ideal base if you’re looking to ski during winter or hike or bike in the summer months. In the town itself you can gaze beyond this world at Lowell Observatory and spend time spotting some of the vintage neon signs from its days as a key stop-off point on the iconic Route 66. Around a 30-mile drive outside town brings you to the world’s best-preserved meteor crater. Caused by a meteor plummeting to Earth some 50,000 years ago at a speed of 26,000 miles per hour, there’s a guided tour and a museum – making it an ideal stop for any science fans. 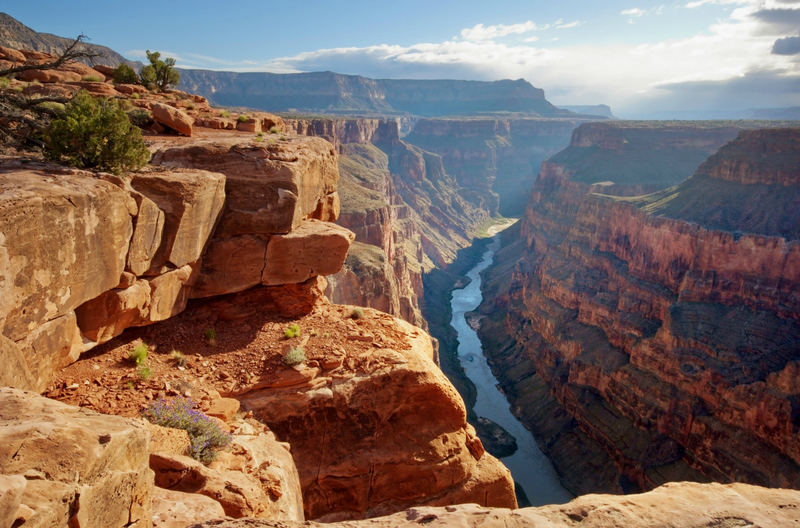 The Grand Canyon is just over an hour’s drive from Flagstaff – and its immensity will stop you in your tracks. The official stats say it’s 18 miles wide and a mile deep, with millions of years of geological history being revealed by its layers of red rock. It’s the America you’ve seen in Westerns. Soaring rockpiles seem on the verge of toppling over, while in this huge national park there are opportunities to hike, camp and go white-water rafting. Try to find the 70ft watchtower on the south rim, while the Skywalk at Eagle Point is a horseshoe-shaped bridge with a glass walkway that lets you hover over the yawning void below. It’s not one for the faint-hearted, but an awesome experience for those with a head for heights. Helicopter tours are also available to give you a true bird’s eye view of the canyon. More than anything else, just take some time out to marvel at a genuine natural wonder of the world. From Flagstaff, follow the I-40 west and then south for Lake Havasu City. It’s around a 200-mile drive – though in Arizona that’s considered a short hop. This popular holiday destination, based around some 400 miles of coast, is a perfect place to relax on the beach or get wild on the waterways. Rent a boat, or try your hand at water skiing, wakeboarding, scuba diving and a variety of paddle sports. If you still have energy to burn, there’s the chance to go rock climbing, while you can even stroll across the original London Bridge. Having spanned the Thames since the 1830s it was relocated here in the 1960s. Once darkness falls, the only entertainment you’ll need is the twinkling night sky – out here it’s perfect for some epic stargazing. 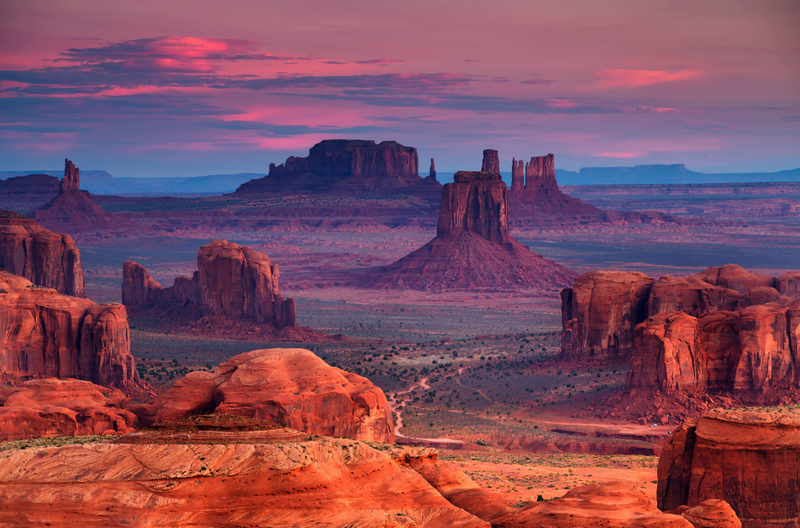 Driving north-east from Flagstaff on the 89 and 160 transports you to the hypnotic landscape of Monument Valley. Its seemingly endless roads disappear on the horizon, among blood-red buttes and sheer spindles or rock that stretch skywards. Coast down Valley Drive to see the teetering spire of rock dubbed the Totem Pole and mysterious caves. Even from behind the wheel you’ll feel like a cowboy. It’s hard not to when the landscape is so familiar from some of Hollywood’s finest moments. Take a Navajo-led tour that includes John Ford's Point – an awe-inspiring lookout spot that featured in Western classic The Searchers and is named in honour of its director. 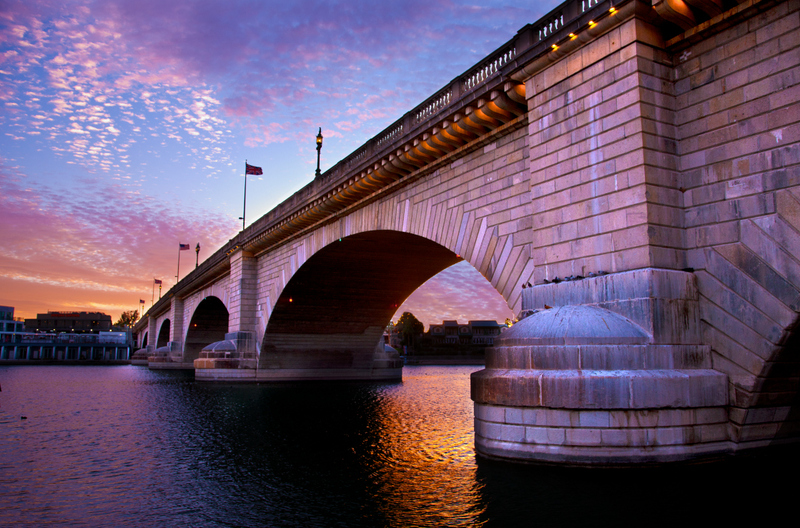 Arizona has it all – cool towns like Flagstaff, modern cities such as Phoenix and, of course, a rough and rugged landscape that’s full of spectacular views and brilliant outdoor activities. Begin your adventure today with Hertz car hire in Arizona.